Military Lift three M1A1 tanks, 10 LAVs or 400+ troops, 125 tons of cargo. Radar Navigation: LN 66 or SPS-53; I band. 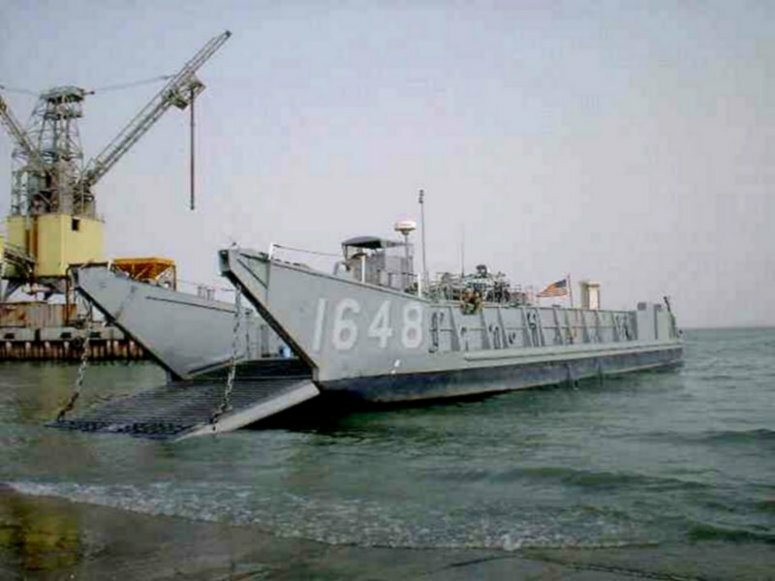 57k LCU-1648 beached, date and location unknown. 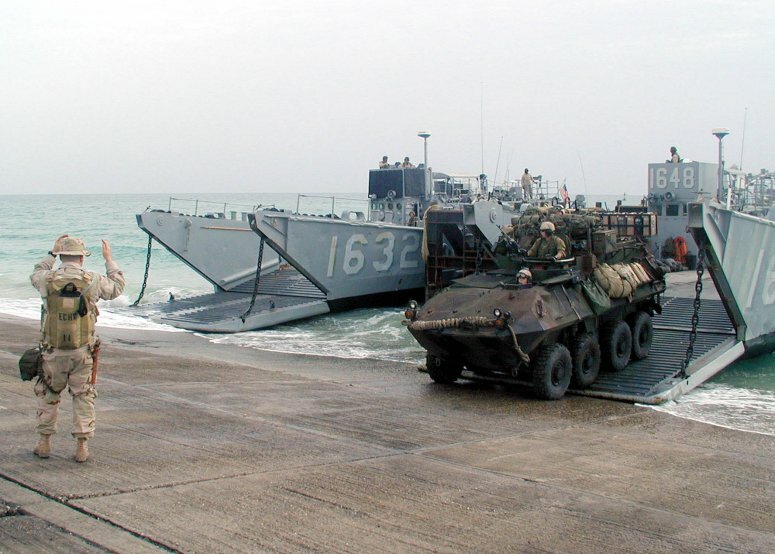 89k LCU-1648 and LCU- 1632 are unloaded by U.S. Marines of the 15th Marine Expeditionary Unit (MEU) Special Operations Capable (SOC), in Kuwait, 12 February 2003. The Marines are embarked on the San Diego-based amphibious assault ship USS Tarawa (LHA 1). The ships of the Tarawa Amphibious Ready Group arrived in the North Arabian Gulf in mid-February as part of a six-month deployment. 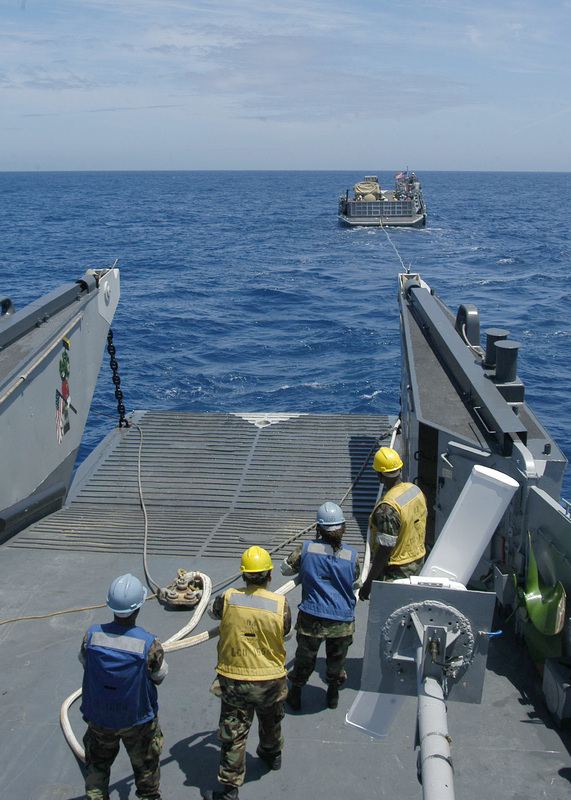 650k Deck Seamen aboard LCU-1648 give slack on the towing hawser during a towing exercise. 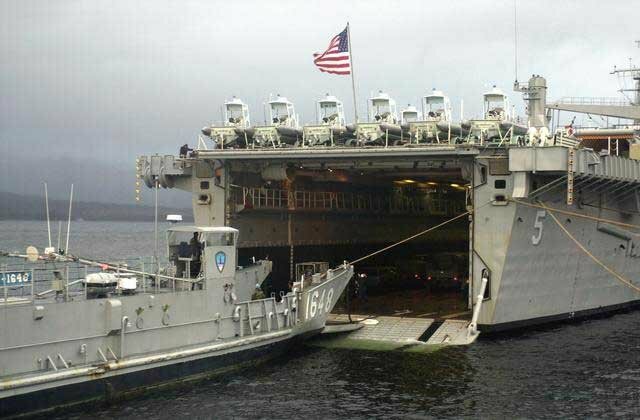 Commander, Amphibious Squadron Eight is preparing for a multi-national joint exercise with North African and European forces this summer, called Phoenix Express. The exercise will provide U.S. and allied forces an opportunity to participate in diverse maritime training scenarios helping to increase maritime domain awareness and strengthen emerging and enduring partnerships. Note the artwork on the port side wall of LCU-1648s' well deck. 511k LCU-1648 assigned to Assault Craft Unit (ACU-1), passes dock landing ship USS Comstock (LSD 45) at anchor. 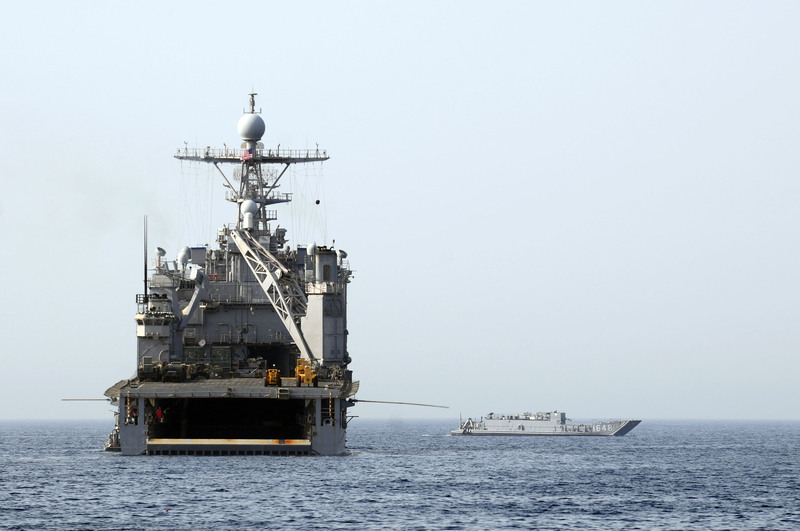 Comstock is deployed supporting maritime security operations and theater security cooperation efforts in the U.S. 5th Fleet area of responsibility. 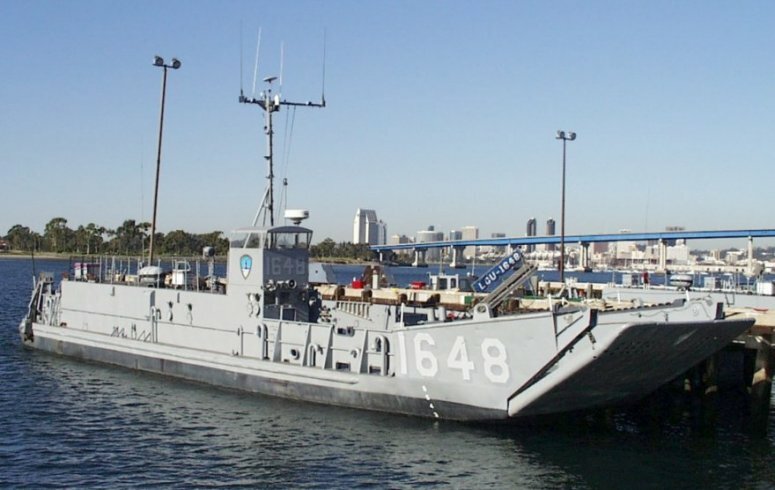 146k LCU-1648 participates in a stern gate marriage with USS Harpers Ferry (LSD-49). 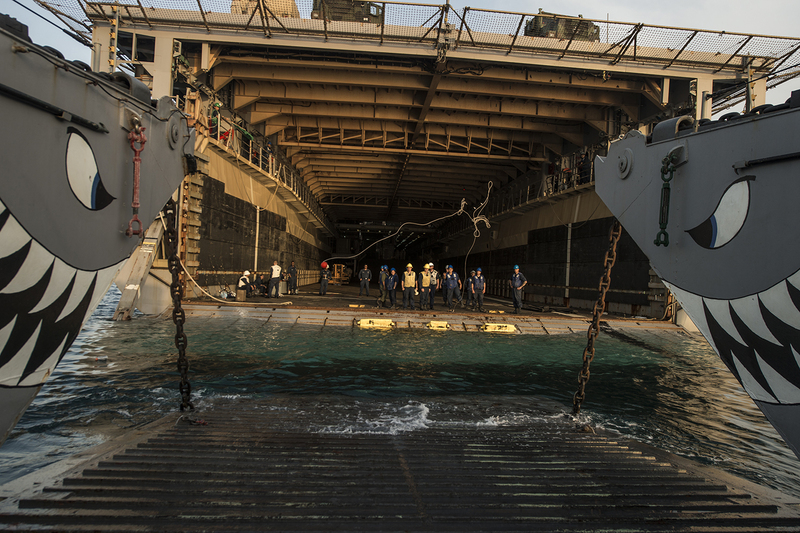 Harpers Ferry is part of the Boxer Amphibious Ready Group and, with the embarked 13th Marine Expeditionary Unit (13th MEU), is deployed in support of maritime security operations and theater security cooperation efforts in the U.S. 5th Fleet area of responsibility. 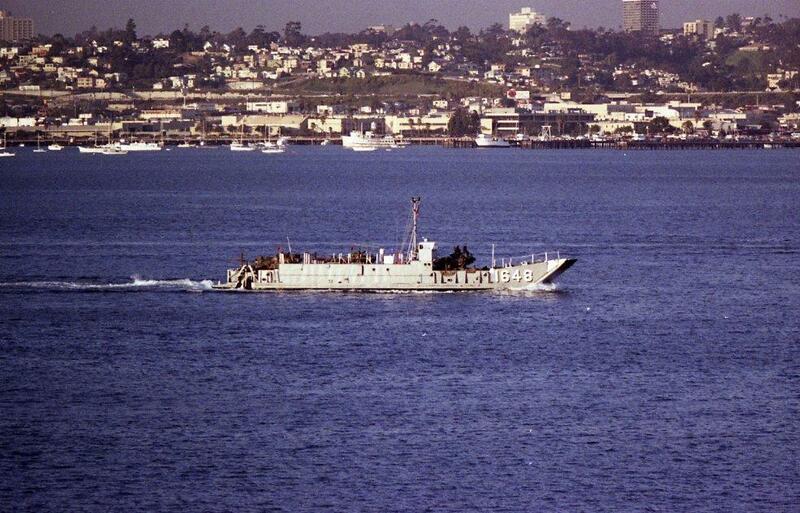 1301k Sailors throw a line to LCU-1648 from the amphibious dock landing ship USS Harpers Ferry (LSD-49). 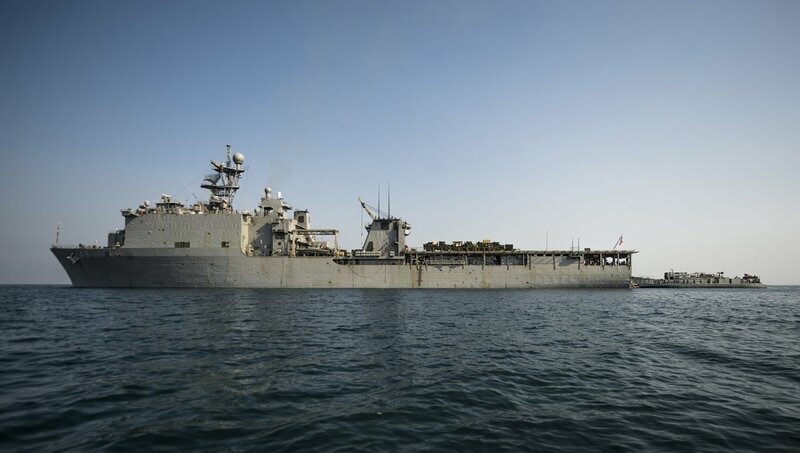 Harpers Ferry is part of the Boxer Amphibious Ready Group and, with the embarked 13th Marine Expeditionary Unit (13th MEU), is deployed in support of maritime security operations and theater security cooperation efforts in the U.S. 5th Fleet area of responsibility.